Comprehensive service kit for the Weber IDA 40 and 46 3C carburetors. The Weber 3-barrel carburetors were used on an array of cars by Porsche, Ferrari, Lamborghini and many more. 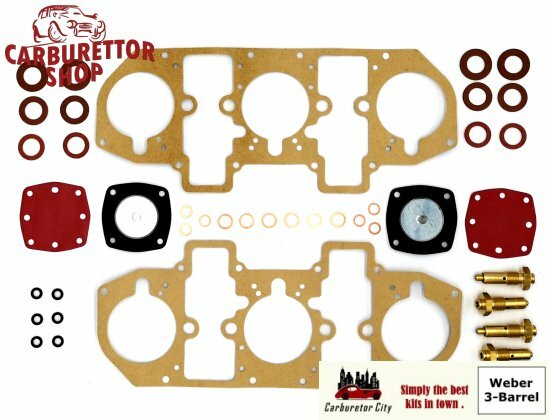 Contains all required parts to service 2 carburetors.